Canada's most dominant 3x3 basketball team has split up, giving the country two teams that will be competitive in international play. 3x3 is a fast-paced half-court basketball game running on a 10-minute game clock, or when a team scores 21 points. Games are played indoors and outside. It's a game rising rapidly in popularity and will debut at the 2020 Summer Olympics in Tokyo. 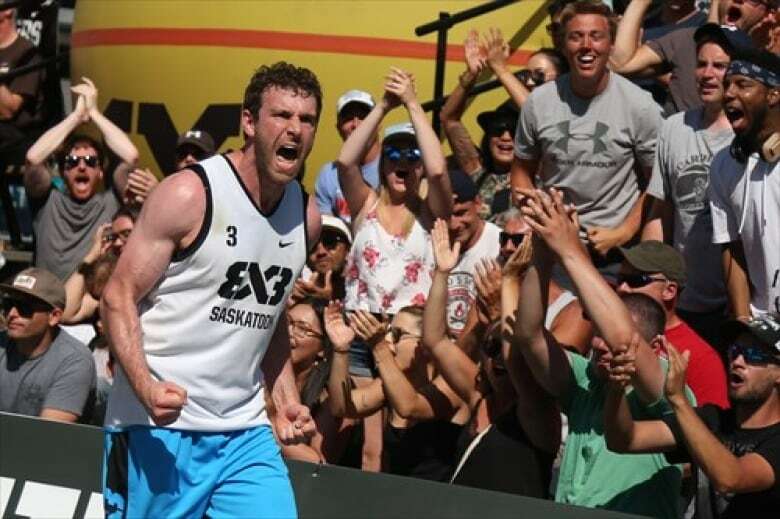 On Friday FIBA 3x3 announced Team Saskatoon, a group of six basketball players from Saskatoon and Alberta who have been travelling around the world representing Canada over the past couple of years, will become two teams. Team Saskatoon's original players Michael Lieffers and Michael Linklater, will continue to play with Nolan Brudehl and will add three other players, who have yet to be announced. That has led to Steve Sir, Jermaine Bucknor, and Jordan Baker teaming up with Kyle Landry, Jordan Jensen-Whyte and Kenny Otieno to form Team Edmonton. 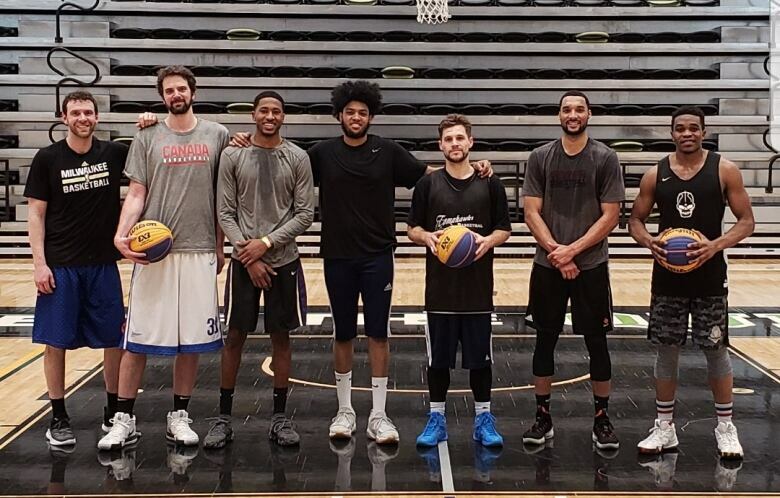 The split of Canada's best 3x3 team, currently ranked 11th by FIBA, was a result of the logistical problem of having players five hours away from one other, said the team's veteran. "This move was not something that came out of anything negative," said Steve Sir, who is ranked 31st in the FIBA 3x3 individual rankings. "It just was really something that was evident to us the more that we did it. "The teams that are successful and the ones that do well are the guys that are around each other constantly and when they're not playing at home, they're practising and preparing." Sir says Canada will benefit from two teams with world-tour experience, adding to the country's overall ranking. He expects Team Edmonton to do well in upcoming events. "We had guys here locally in Edmonton and in Calgary that are very good professional basketball players that have played at high levels — college, high levels professionally — and it worked for their lives and for their schedules to really pursue this now," Sir said. Although the team is made up of Alberta players, FIBA 3x3 rules require teams to be named after cities. Team Edmonton will have to get a lot of games and wins to move into the the top 30 rankings, but they've got time and flexible enough schedules to attempt to qualify for the Olympics. "It is a bit of a reset but the good thing is we are in an area where we can do some things locally," Sir said. "We will take the risk and go to some places on our own — on our own dime and with our own time. And that's one of the things that's important with the Olympics stuff is we're willing to play anywhere and anytime." After a decade of playing basketball in Europe, Kyle Landry has moved his family back to his hometown of Calgary. The 32-year-old is a member of the Canadian men's national basketball team. 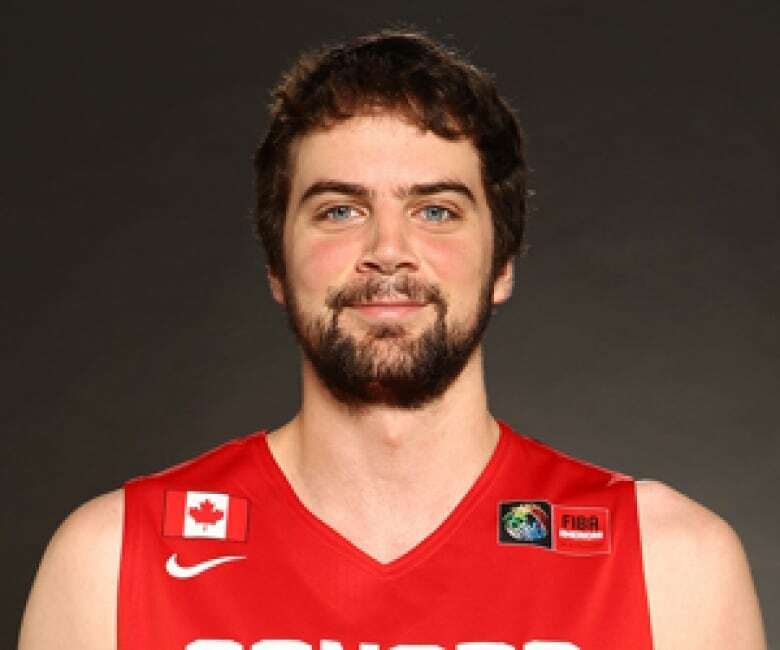 He'll travel to Newfoundland for Canada's FIBA Basketball World Cup 2019 Americas Qualifier games against Venezuela and Chile in mid February. He expects his schedule to open up for 3x3 with Team Edmonton. "The opportunity to go and play in the Olympics, that's a once in a lifetime chance" Landry said. "I think with the quality players that we have, even though a lot of our team is new to 3x3, I think we'll be in good shape to have a very good chance to qualify." Not only is Sir excited to play with his former Northern Arizona University teammate and friend, but also a player that has played on a recent national stage. Landry scored 10 points in a 94-76 Canada win over Brazil to help the five-on-five team clinch a spot in the FIBA World Cup for the first time in nearly a decade. "He's going to bring something new to the 3x3 world that I don't think has happened yet," Sir said. "There isn't a player on the 3x3 world tour that is a current member of their senior men's national team and not just a national team but like a high-level national team. "Kyle has played at a extremely high level in Europe. He had one of the more decorated professional careers that a Canadian has had outside of the NBA." Team Edmonton will continue to practise together in Red Deer, Calgary and Edmonton before entering tournaments in the spring to add points to its FIBA 3x3 ranking.